Purchasing discount homeschool books is a great way to make homeschooling affordable. Follow this link to find information on locating and purchasing used homeschooling books. Rainbow Resource - Rainbow Resource is a family owned business which offers discounted prices on over 35,000 products from a variety of popular curriculum suppliers. This company's free catalog is the size of a phone book and contains detailed product reviews. Rainbow Resource offers free shipping on orders over $150. If your total purchase will not reach $150, consider combining orders with a local homeschool friend. Scholastic Book Clubs - Scholastic offers montly flyers with discount books for ages toddler through age 8 that are priced as low as 95 cents. You may have taken home monthly Scholastic Book Club flyers in your backpack when you were a child. Homeschool support groups and individual homeschool families can also take advantage of these amazing discounts. Scholastic Customer Appreciation Warehouse Sales - Twice a year, Scholastic opens it's warehouse to teachers and home educators, offering many of the books from its monthly flyers at half price. My family attends this sale every May to stock up on picture books, novels and non-fiction science and history titles. Go here to find a sale in your area. Usborne Books E-Show - Usborne books are used in a variety of homeschool curricula from Sonlight to Tapestry of Grace to The Well Trained Mind, and more. By hosting an Usborne e-show, you can introduce friends and family members to Usborne's multi-sensory, educational books, and earn free homeschooling books without even cleaning your home! Contact me for more information about hosting an Usborne e-show. Usborne Books Consultant Opportunity - In spring of 2008, I made a such a long list of Usborne books to use in our homeschool, that my husband suggested I become a consultant. In my first 3 months with Usborne, I earned over $500 in free Usborne books for my children, which amounted to an entire bookshelf full of great books for my children. As an Usborne consultant, I also earn commission on my own purchases, thereby giving me an automatic discount on purchases for gifts or personal use. Here's some additional information about the Usborne consultant opportunity. Both Barnes & Noble and Borders offer discounts on new books at their annual teacher's appreciation events. Here's some additional information on Educator Appreciation Days and teacher's discounts that are available to homeschoolers. Christian Book Distributors - Christian Book Distributors offers discount homeschool books and curricula from a variety of popular publishers at savings of up to 90%. 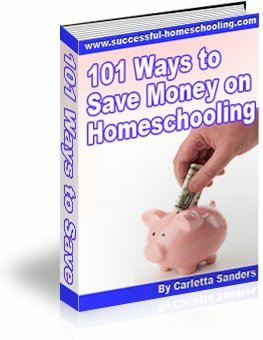 Its free Educational/Homeschool catalog features over 96 pages of homeschool resources, along with reviews by Charlotte Mason aficionado Karen Andreola. Homeschool Library Builder - Homeschool Library Builder is a company owned by two homeschool moms that offers discount prices on new and used books from popular literature-based programs. Their website allows you to search for books by curriculum and program level.